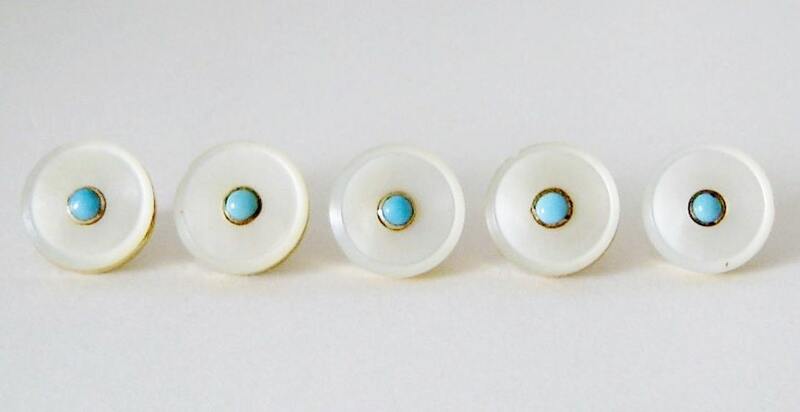 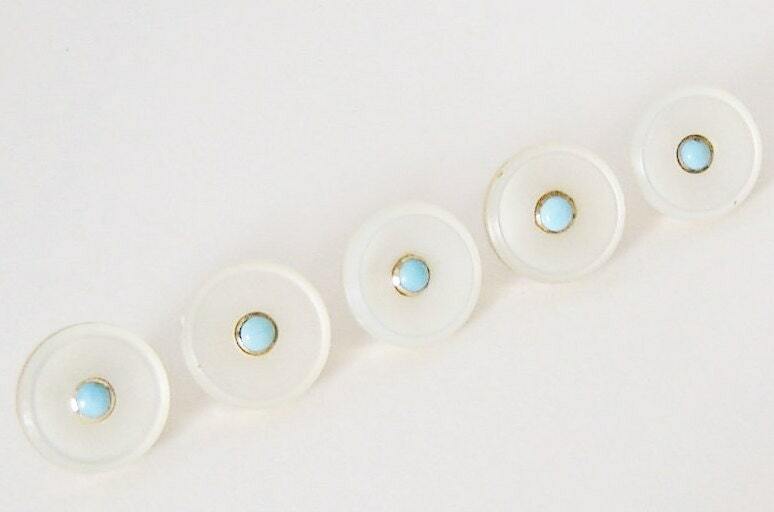 Antique....9ct~9K Solid Yellow Gold, MOP & Turquoise Tuxedo/Shirt Buttons Set of 5. 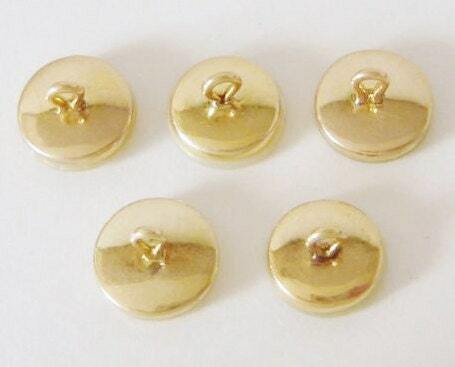 Here is a rare set of (5), 9K Solid Gold Shirt Buttons....There are no hallmarks, but the buttons have been acid tested as 9ct gold (Guaranteed). 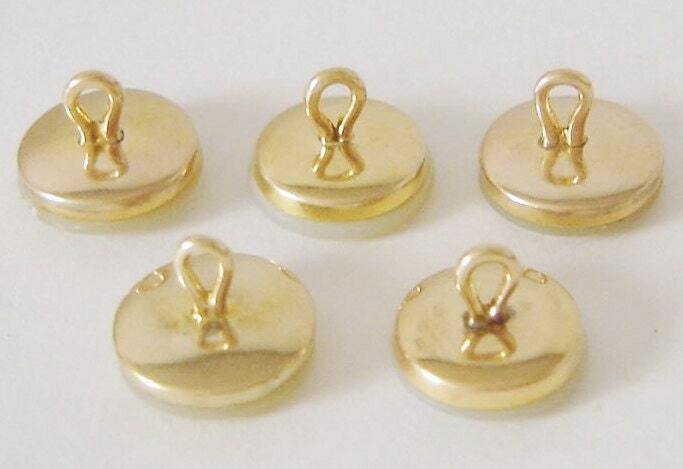 They are 14 mm round, and weigh 9.18 Grams.... 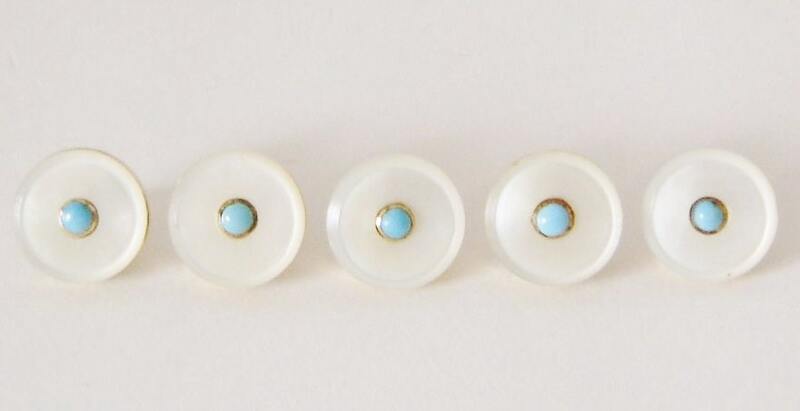 Superb Gift Idea.